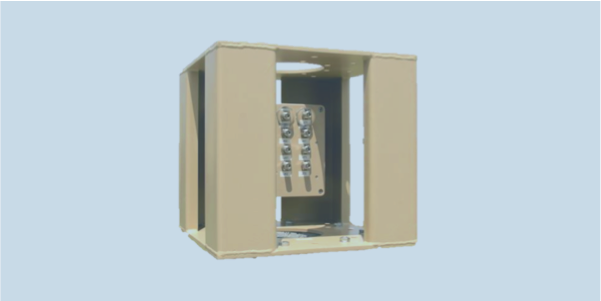 The MISC-A0047 is a mounting support designed to support the SYST-A0004 DF and monitoring antenna stack, and house the MISC-A0045 amplifier box. This support allows access to the cables and connectors terminating the various omni and DF antennas. The stack can be hoisted without any free cables hanging from the bottom.